Watching the leaders of both parties speak on the same issue back-to-back gave me, and I’d bet many other Americans, a strong and unmistakable sense of the priorities of each party. Trump spoke of the vital importance of national security, enforcing laws, stopping the flow of deadly drugs, and protecting Americans from criminal illegal aliens who have killed, assaulted, raped and robbed thousands of US citizens. Pelosi and Schumer seemed obsessed with one thing only: getting the government reopened. They repeatedly downplayed the stats and tragic stories quoted by Trump, dismissing the whole issue of border security as a manufactured crisis (I doubt they’d say that if one of their own family members had been victimized, but then, they have armed security.) It was blindingly obvious that to them, the real crisis was that a fraction of the government was shut down, and some federal workers’ checks might be delayed. Trump: Wants to protect Americans from drugs, gangs, terrorists and the crippling economic effects of illegal immigration and to protect migrants from a dangerous journey inspired by the belief that our border is easy to cross illegally. Pelosi and Schumer: Want to protect government workers from missing a paycheck. With that out of the way, let’s look at the style. Trump chose to address America from the Oval Office in prime time, which indicates how serious he considers this issue to be. This lends a gravitas that no tweet storm can match. I’m sure he wanted to appear “Presidential” and convey the seriousness of the issue, even though some critics complained that he seemed more subdued than usual and just stuck to the prepared script. I’m sure he knew that if he dared go off script by even a semi-colon, the media would be waiting to pounce and claim he made a “gaffe” (or as they call that, a “LIE!! !”) So at the risk of seeming less loose and animated than he does at his rallies, he stuck to the script and spoke with seriousness and compassion about Americans who have lost loved ones because of violent criminals who never would have been on US soil if everyone in government took immigration law enforcement seriously. As for Pelosi and Schumer: As the overwhelming response online shows, if we were grading this on style points, it would be a Trump blowout. He didn’t have to give the performance of a lifetime, he just had to come across better than them, and they set the bar so low a worm couldn’t limbo under it. You know it was a bad night for the Democrats when even Stephen Colbert is creating memes making fun of them. Moving past the Gomez and Morticia visuals, Speaker Pelosi also displayed an annoying verbal tic of repeating the phrase, “The fact is…” I understand why she or her writers chose to do this: it plays into the media-driven narrative that Republicans only offer lies and misrepresentations while the left is a veritable fountain of incontrovertible facts. I know this to be a big trough of hogwash because I’ve made a pretty good living in the media over the past decade, mostly by offering factual rebuttals to liberal talking points. The fact is that saying “the fact is” doesn’t necessarily mean you’re about to hear anything approaching a fact. When it’s coming from the likes of Pelosi and Schumer, it’s actually a pretty good indicator that you’re about to hear something that’s not a fact. That, and their lips are moving. Meanwhile, anyone who thinks the dueling media statements will mark the end of this doesn’t know Trump. He’s already planning an appearance at the border tomorrow, to force the media to turn cameras on near it. This is a shrewd strategy, since it’s very easy for coastal media elites to tell people on the border that there is no border security crisis, just as it’s easy for people with high-paying media jobs to tell unemployed construction workers that illegal immigration doesn’t undermine employment for Americans. I think Pres. Trump should now start getting the paycheck every Pres. gets and donate it to build the wall. If donate isn't legal then he knows the proper way to use it for the wall. I want the wall built too. Its time we put a stop to invasion. I will forever contend that no country can continue to be "Great," when it allows the genocide of the living in the womb. I believe that the America I grew up in accelerated its decline at the moment that "genocide" became a 'right!' The departure of man (America) from God's word: “Before I formed you in the womb I knew you, before you were born I set you apart; I appointed you as a prophet to the nations” (Jeremiah 1:4-5) It can not be denied that ALL of America's cultural norms, from birth to death, are in the toilet and getting worse. From a once predominantly religious society to now a completely secular one, America/Americans have consistently kicked God to the curb for far longer than just the past fifty years! To think our border 'emergency,' along with the changing demographics in our states, is anything but 'one more' issue contributing to America becoming NOT the preeminent World Power/Leader, is to walk that yellow brick road of naïveté! If I hear, one more time, how "Americans are not stupid," or, "The American people are not stupid," I may need a new HD TV, after pulling an Elvis on it. mexico would stop ALL illegal border traffic IF they got paid only 1% of the cost the US now pays due to border crossings. WHY has the FBI nothing to say about the border ? the security risk the amount of crime due to the border >??????? Has anyone realized that Pelosi and Schumer (and the Dems who support them) only want one thing: ALL THE VOTES!!! If the borders are open, the immigrants will vote for THEM! They only care about themselves, not you or your safety. Mike, my question concerns the fencing that Dems voted for in 2013. Why was the wall/fencing not done then when it was approved or was that a ruse to get voters to think they were concerned with citizen protection? Thank you for being truthful in your daily writings and for the humor you portray in them. How many Americans would allow 10 refugees ( illegal aliens) to move into their home ( without invite), to totally support them with shelter, food, clothing,and medical care, while their own family has to do without because of the added burden? These untrained/ illegal aliens are unable to work to help contribute to the family expenses. Well this is what Americans are being FORCED to do by the sheer numbers of illegal aliens being added to welfare and Medicaid. Taxpayers cannot keep up to the demand. This burden on hardworking taxpayers is where the CRISIS hits home. I believe our elected officials are not considering how they would feel if these people moved into their own homes. I pray President Trump sticks to his moral decision to keep the Government shut down until the liberal Democrats give in to funding the wall. I have been calling GAs Democrat Congressman and yes Congresswoman to vote for the wall funding. I wish OUR PRESIDENT also mentioned how these illegals are stealing the American peoples hard earned money since most of them have gotten welfare support. The cost to the American taxpayer is way too much. Do not regular every day Demicratic voters understand this. 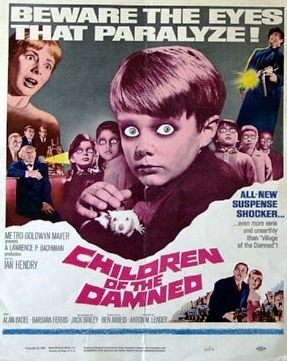 Loved your reference to "Children of the Damned" - so aptly put! "The fact is..." had me laughing, as well. Seriously, the fact is - dems think We the People are stupid and will buy into anything they are selling. The fact is...they are a bunch of undisciplined idiots who can't see beyond their noses - and would love nothing better than for us to let them lead us around by ours! Thank you, Senator Huckabee - you always enlighten and I personally appreciate it. God bless America! Ok, I will try again. I would REALLY like for these questions to reach President Trump's ear: Why sir are you playing the Democrat's game on their field? The wall has been APPROVED and even funded by Congress on several occasions, but they diverted the money. Why can't you just claim that you have sufficient congressional approval, and just start ordering the Army Corp of Engineers to start building the wall? Take the money from wherever you want in the budget and when they call you on it just cite the legal precedent which THEY set when they did it! Love your comments on President Trump' s speech which I enjoyed....Chuck and Nancy came off as selfish....theu are disconnected to the regular taxpayer who are forced to pay for illegal aliens in our country. President Trump did great in his speech. I live on the border, and as a missionary, cross regularly into Mexico and Latin America. I have compassion for those who desire a better life, but friends use the door. The existing sporadic border fence varies from one place to another. The newer fence put up during Obama's presidency is pretty good and helps to divert immigrants crossing illegally as well as the drug and human smugglers away from neighborhoods and into areas where Border Patrol can engage. In other places, such as in Yuma, AZ, San Luis, AZ and Tijuana / San Diego, most of the fence is in disrepair and horribly inadequate. I guess most people have seen what's at the border where it meets the Pacific Ocean where many of the recent caravan broke through... that is one of the stronger parts of the Tijuana fence. If fences are immoral, then Pelosi, Schumer and Obama need to remove the fences from around their houses and implement an open house policy for the homeless and indigent. What is immoral and absolutely maddening is the Democrat flip flop on the issue merely to spite Trump at the expense of the American People while they issue double speak from their mouths. They speak with a forked tongue, and so does most of the established media. Apparently they owe their soul to the devil or Soros as their allegiance is certainly not for the good of the USA. Democrats had control of both the House, the Senate AND the White House for years. Had they really been interested in doing something to help the immigrants from Latin America and Mexico they could have legislated a solution then. Rather than a temporary executive order (DACA), they could have legislated better immigration laws and granted citizenship to children who have been brought here and know no other country. He was trying to help the Hispanic immigrants. Trump attempted to force the hand of Congress to pass permanent legislative solution for DACA recipients, but they were too busy posturing and playing political games. While I would like to see the government shutdown ended, what I want more is for Congress to stop playing, fund the wall and get something done for a change. A guest on One America News (channel 347 on Direct TV) summed it up by saying that the HATRED of Pelosi and Schumer against Trump outweighs border security and the safety of the American people. Well, I say to that, "Grow up, you two. Get over your hatred and do what is best for the country." By being so opposed to border security, they are basically saying that it is okay to let everyone in, along with their crime and diseases. They are not even willing to listen to what the border patrol say, and they say NOTHING about all the people who have been killed by illegal aliens. On a side note, they work for the government too, so they and all the others in D.C. (District of Contempt) should not be getting paid either. I am Sharing this post from a dear friend because I feel the same...Wake up America!! I have lived through several United States Presidents prior to our current President Trump. In my lifetime, I have never seen nor heard of a President scrutinized over every word he speaks, humiliated by the public to the point of disgrace, slandered, ridiculed, insulted, lied to/about, threatened with death, had his wife and our First Lady disrespected, & his minor child insulted, threatened & harassed. I am ashamed and saddened by the ruthless, meanspirited, hateful, cruel, biased people who display themselves as having no civic pride, morals, ethics, decency or respect for our country's traditions and values. My elders and teachers taught me many yrs ago to respect our President, whether I voted for them or not. All the news stations & reporters who feel they have the right to perpetuate blatant lies and fabricate "facts" for a "good story" are dividing our country beyond belief. Many only report the negative "news" and never the accomplishments of our President. If people do not research everything put out by the MSM, they are left to believe all the hate mongering news. This is leading to so much intolerance that I feel we are nearing the brink of a civil war! No other President that took the oath of office has been on the news 24/7, scrutinized for their every word, facial expression, decision, handshake, what he eats... NO, he is not perfect, far from it! No President or person is, including you and I!!!!! Yes, he makes stupid comments and doesn't use the flowery language of a "professional politician". However, I believe he truly loves the United States of America and works tirelessly to make things better for us all. He is very different than what we've become accustomed to, thank goodness. The people who would rather see our country fail than help him do his job, we need to stop. I was always taught "If you can't be part of the solution then at least don't be part of the problem". I personally want our President Donald Trump, as I did his predecessors, to succeed. To hope for failure is INSANE. United we stand; divided we fall. Thank you so much! I agree 100% with What President Trump is saying! It's time we did something to keep our country safe for all of us! I worked for a major airline for 18 years as a salaried employee. Any time the union members went on strike, i.e., pilots, flight attendants, mechanics, and walked off their job, the salaried employees were asked to work 5 days a week and get paid for 4. We were also expected to empty trash cans, clean the restrooms, and dust the floors. If the strike went on very long, we were asked to work 5 days and get paid for 3. When the strike was finally settled, the union members all received back pay while the salaried employees who kept the airline working never received back pay....nor did we get the salary increase that the union members received. If the pilots, flight attendants, or maintenance people had continued to work, the airline probably wouldn't have been so quick to settle the dispute. I hope President Trump (my president!) continues to take a stand. If he starts paying people during this shut down, I don't believe anything will be accomplished. It's a sad situation, but our leader has to be firm, just like our parents use to be. Thank you for your fabulous editorials! Although I don't have time to read them all (47 year old mom, wife and teacher), I listen to you, Newt Gingrich, and Lindsey Graham ?? You guys keep me calm in the midst of the political circuses; especially political correctness ?? God bless you ?? I agree with you and President Trump wholeheartedly and support his commitment to build the wall. It amazes me that the current Democrats show such ignorance of the real problems of illegal immigration. But it shouldn't surprise us too much given the statement that Congressman Hank Johnson made during a House committee meeting with an Admiral when he said that the addition of 8000 marines to the island of Guam would cause the island to tip over and capsize! and he was serious! All I seem to hear and see is rhetoric, where are the Preachers that stand against the Devil, that have not been over whelmed with political correctness, that are not afraid to put a finger in the face of the ungodly and boldly tell them how it really is! I believe God does not ask us to talk about it, but rather to fight for righteousness! Enough said!